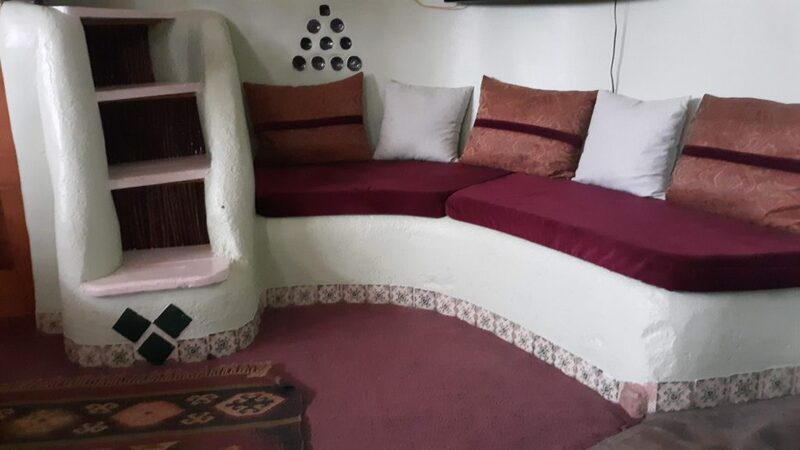 Earthship biotecture is an alternative self-sufficient, fully sustainable and off-grid dwelling working in conjunction with nature. 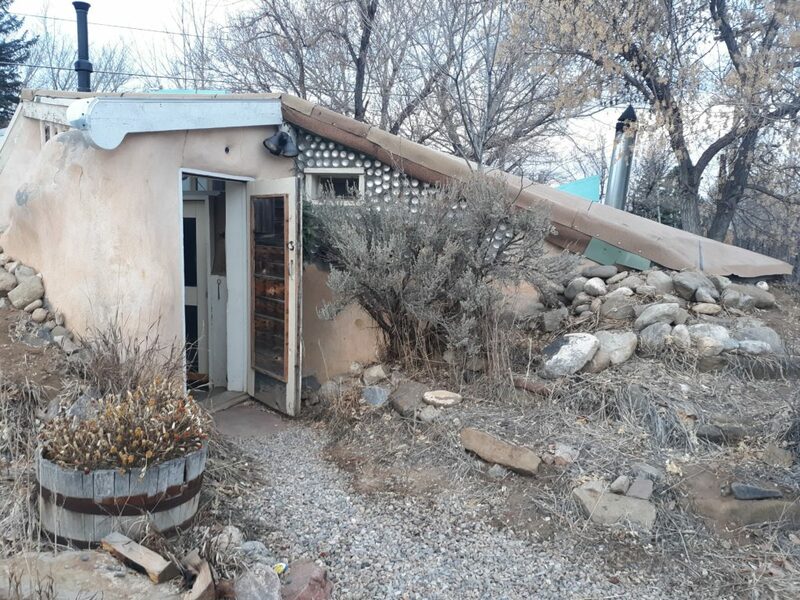 The mastermind behind these buildings and living communities is Michael Reynolds who created the first earthship in 1973. 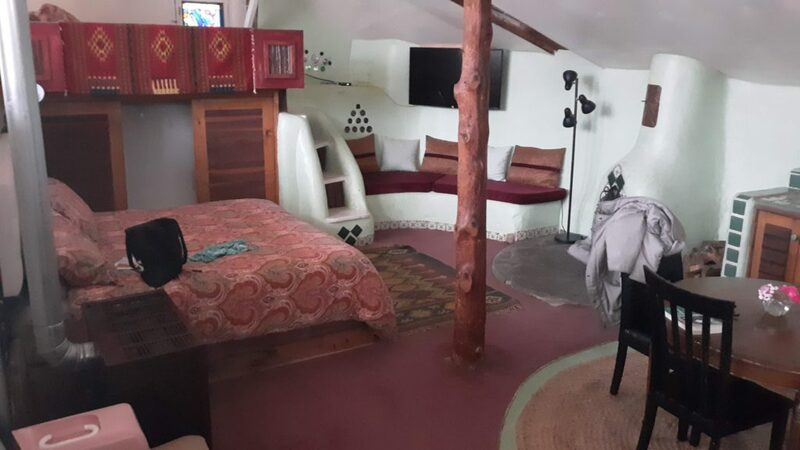 We ventured into the first earthship ever created to experience a night in Taos, New Mexico. 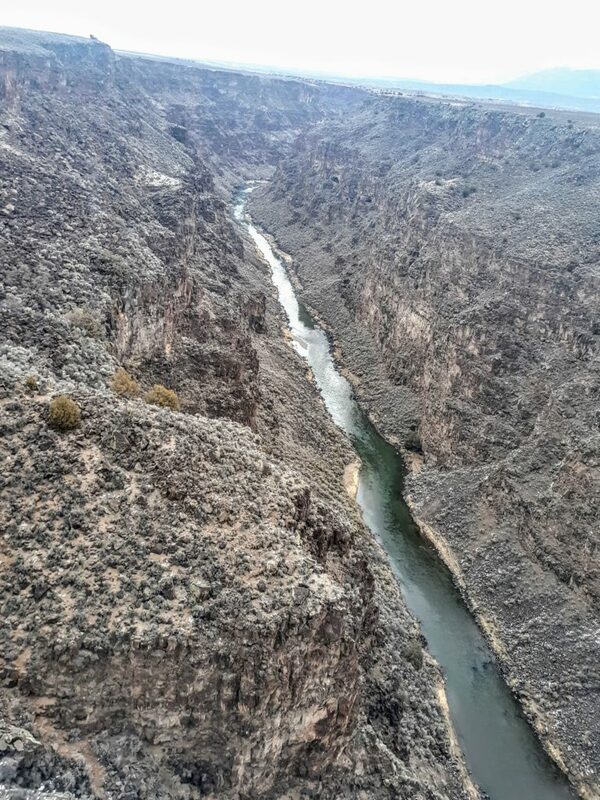 Then we headed to the visitors center that has both a tour and private earthship residences on the land located a few miles next to the Rio Grande. Every design interior and exterior can be tweaked to the residents need but the basic fundamentals of the infrastructures design are the same. 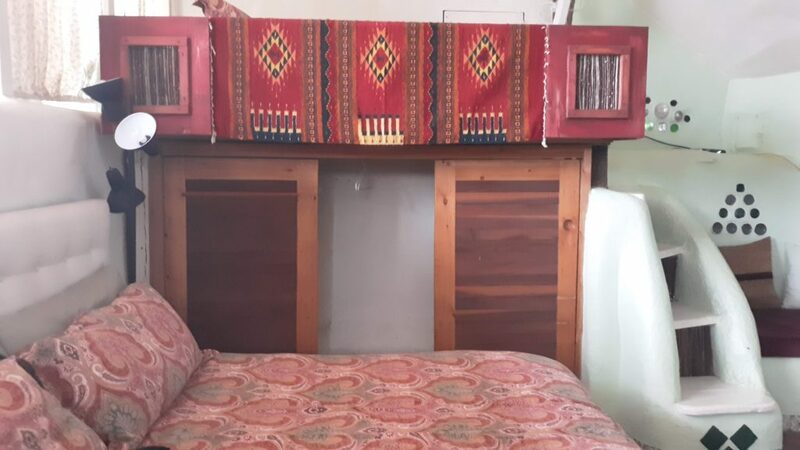 The home itself works like an ecosystem where the natural phenomena from the outdoors and our daily usage of water, electricity and waste is reused to keep the household functioning efficiently. These includes reusing materials, heating and cooling, generating power, collecting water, treating sewage and growing food and plant life. 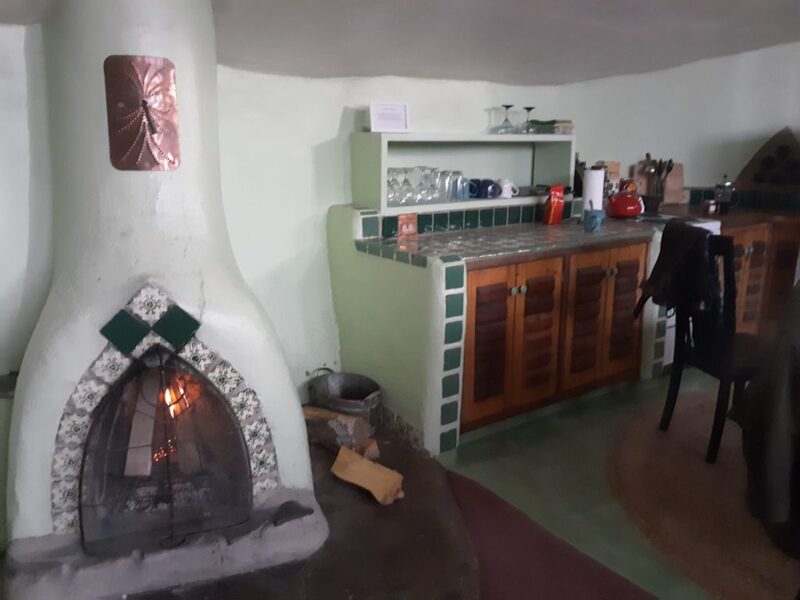 The first earthship built in 1973 called the Hobbit House is made up of one large room with another separate room much like a corridor where the bathroom and plant life exists. The main room has a wood burning fireplace, full kitchen, dining room, bedroom, and a small loft area where another bed was placed. Interior features include handmade stained glass windows, glass bottles that served as small windows throughout the dwelling and transparent glass on the entirety of one wall to be able to see into the greenhouse. 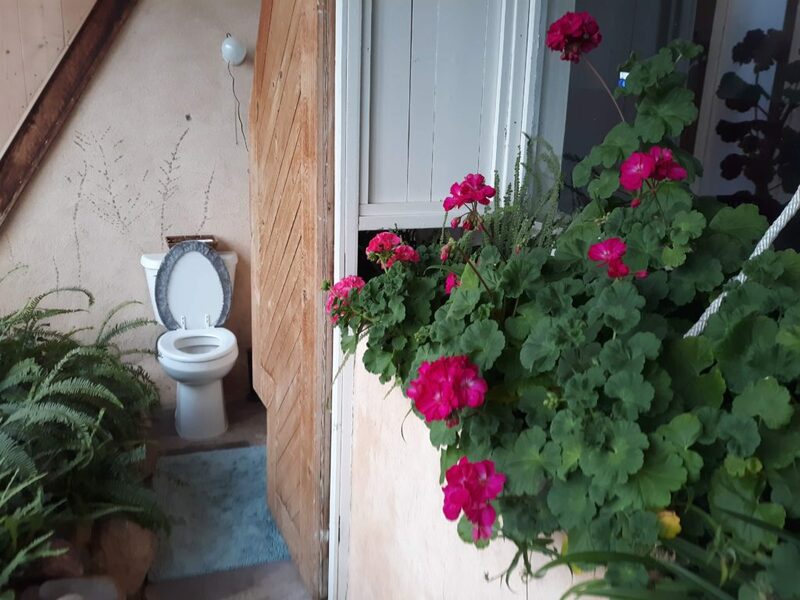 However, both the toilet and shower have a wooden door and curtain for privacy. Tiles along the fireplace mantle, wooden accents along the trim of the loft and the front of the doorways give it a rustic retro charm. 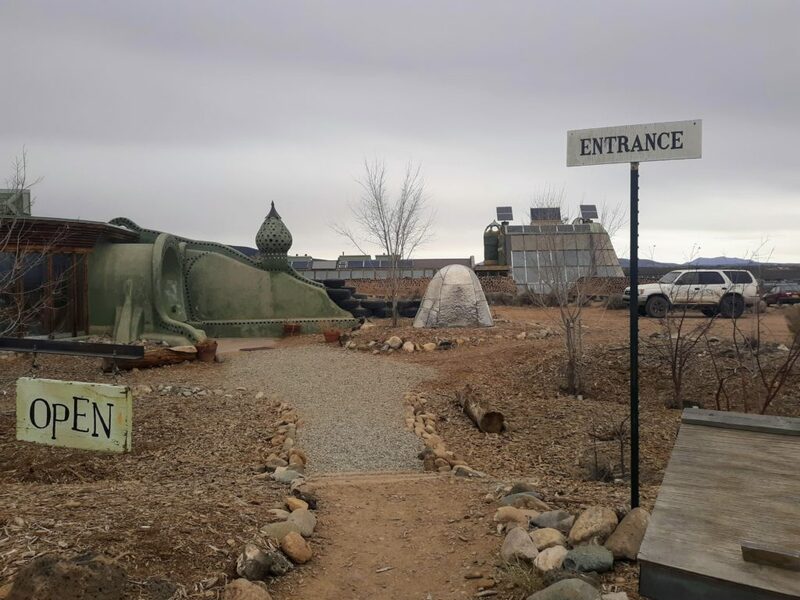 From certain angles on the outside, the earthship appears to look like a mound of soil, the design is unusual but the mechanics of the earthship are created for sustainable and environmentally conscious living. 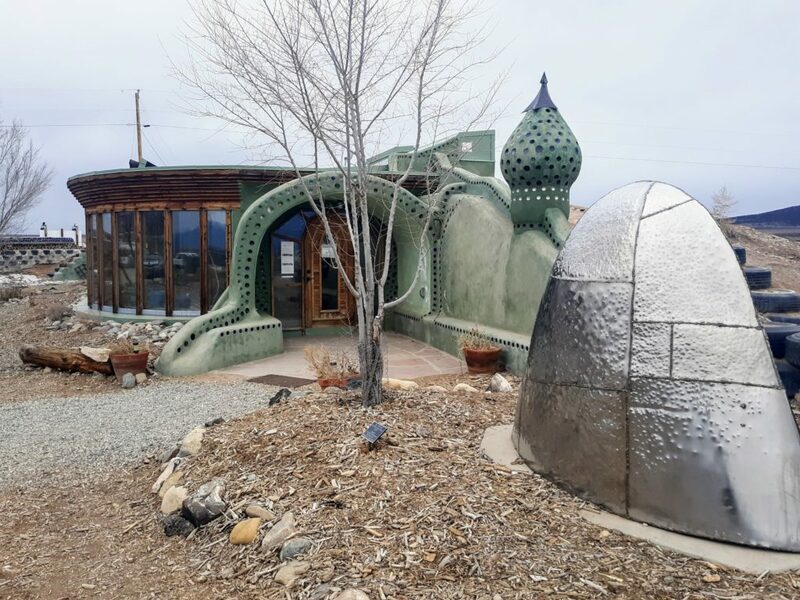 There is a 4 week long program dedicated to teaching the theory, design and construction techniques at the earthship academy.